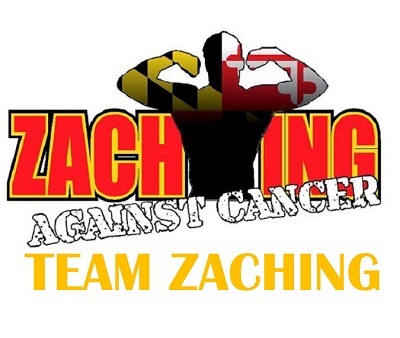 On October 21, 2017, Team Zaching will be participating in our second Baltimore Running Festival to raise money for the Zaching Against Cancer Foundation. 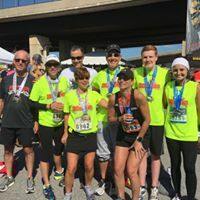 You must be registered for the Baltimore Running Festival. Once registered, go to https://www.crowdrise.com/TEAMZACHING to start fundraising for TEAM ZACHING! 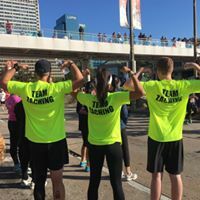 RAISING $250 GETS THE TEAM MEMBER A TEAM ZACHING SHIRT TO WEAR ON RACEDAY! RAISING $500 GETS THE TEAM MEMBER A TEAM ZACHING QUARTER ZIP! We will have team training runs in August and September. Team members will be invited to a TEAM ZACHING PASTA PARTY on Thursday, October 19th.